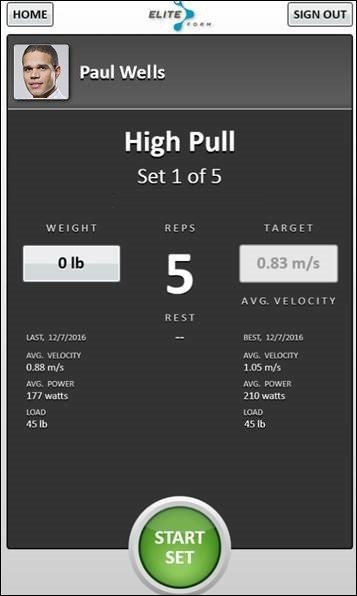 A new view on the PowerTracker screen gives historical velocity and power outputs for the athlete’s best-recorded lift and their last completed rep. This benchmark gives added motivation for athletes to beat their best score with every effort. This feature is already available for Integrated users. Simply ensure that a Target Value is selected for desired Exercises. The “Best & Last” data will appear at the rack prior to the start of the set.